•	Implementing the 2030 Agenda for Sustainable Development, mandated by the UN Environment Assembly in 2016, seeks to alert policymakers and other stakeholders to the critical role of the sound management of chemicals and waste in sustainable development. •	It takes stock of global trends as well as progress made and gaps in achieving the global goal to minimize the adverse impacts from chemicals and waste by 2020. •	Countries will not meet the internationally agreed goal to minimize the adverse impacts of chemicals and waste by 2020, meaning that urgent action is required to reduce further damage to human health and economies. •	The current chemical production capacity of 2.3 billion tonnes, valued at US$5 trillion annually, is projected to double by 2030. •	Despite commitments to maximize the benefits and minimize the impacts of this industry, hazardous chemicals continue to be released to the environment in large quantities. They are ubiquitous in air, water and soil, food and humans. The world must take advantage of the many solutions that already exist and are highlighted in the report. •	While international treaties and voluntary instruments have reduced the risks of some chemicals and wastes, progress has been uneven and implementation gaps remain. •	The World Health Organization estimated the burden of disease from selected chemicals at 1.6 million lives in 2016, which is likely an underestimate. •	From pharmaceuticals to plant protection, chemicals play an important role in modern society and in achieving the goals of the 2030 Agenda for Sustainable Development. 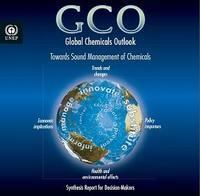 •	Meanwhile, chemical production and consumption is shifting to emerging economies, in particular China. •	Pesticides have been found to negatively impact pollinators, excess use of phosphorous and nitrogen in agriculture continues to contribute to ocean dead zone and chemicals used in sunscreens put pressure on coral reef ecosystems. •	Studies also indicate that releases of some antimicrobials, heavy metals and disinfectants contribute to antimicrobial resistance. 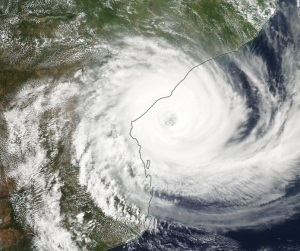 •	In Mozambique, at least 19 people died and more than 70 others were injured after cyclone Idai hit the central part of the country. •	The tragedy has cut off Beira, a city of half a million from the rest of the country after the roads were swamped and power lines were damaged. •	The airport in Beira was also shut down as the navigation system and runway were damaged by the storm. •	The flooding had already killed 66 people and displaced more than 17 thousand in the country during the days preceding the cyclone. •	The World Food Programme said that it would move 20 tonnes of emergency food aid to the affected areas. •	United Nations Environment Programme (UNEP) released sixth Global Environment Outlook 2019 calls decision makers to take immediate action to address environmental issues to achieve the Sustainable Development Goals as well as other Internationally Agreed Environment Goals, such as the Paris Agreement. •	As per the report, a quarter of all premature deaths and diseases worldwide are due to manmade pollution and environmental damage. The report notes that as greenhouse gas emissions continue to rise. •	It also warns that deadly emissions, chemicals polluting drinking water, and the accelerating destruction of ecosystems crucial to the livelihoods of billions of people are driving a worldwide epidemic that hampers the global economy. •	The growing divide between rich and poor as uncontrolled overconsumption, pollution and food waste in the developed world leads to hunger, poverty and disease elsewhere. •	The lack of access to clean drinking supplies leads 1.4 million people die each year from preventable diseases such as diarrhea and parasites linked to pathogen-riddled water and poor sanitation.